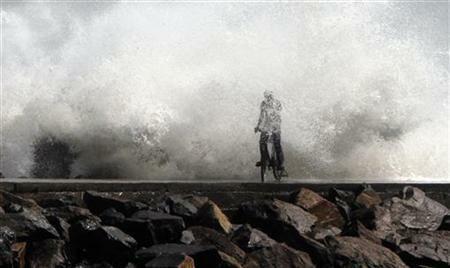 Pakistan court to probe "memogate"
Rain and gale force winds lashed the southeast coast on Friday, bringing down walls and power lines and killing at least six people as cyclone Thane made landfall near Chennai. With winds of up to 135 kph and tidal surges of up to 5 feet, Thane hit Tamil Nadu, close to the former French colonial town of Pondicherry, forcing some people in coastal villages to seek safety in relief shelters. The storm quickly lost strength over land, with winds dropping to 75 kph. "There have been six cyclone-related deaths in different villages in this area mainly due to wall collapses or electrocution," said V. Amuthavalli, an official in Cuddalore district, one of the worst-hit areas in Tamil Nadu. "Our priority right now is to restore power supplies and other infrastructure problems which have been damaged." The weather office said Thane, which had moved in from the Bay of Bengal hitting the coast between Cuddalore and Pondicherry at around dawn, would also have an impact in the neighbouring state of Andhra Pradesh, but to a lesser degree. Heavy rain was expected to last for 12 hours and the strong winds would weaken to about 45 kph by the end of the day, it said in its latest bulletin. India's cyclone season generally lasts from April to December with severe storms often causing dozens of deaths, evacuations of tens of thousands of people from low-lying villages and widespread crop and property damage. In 1999, a "super-cyclone" battered the coast of Orissa for 30 hours with wind speeds reaching 300 kph. It killed 10,000 people. Authorities have set up emergency control rooms and disaster response teams have been deployed. According to the U.N.'s Global Disaster Alert and Coordination System, up to 1.2 million people live in the affected area, with almost 80,000 in low-lying coastal areas. Aid workers in Tamil Nadu said it was too early to assess the damage and whether there was a need for emergency aid. "Some roads have been blocked due to trees being uprooted by the strong winds, and electricity supplies and phone lines are also out in the worst-affected areas," said Joseph Sahayam, emergency officer for the Churches Auxiliary for Social Action. "Mud and thatch homes along the coast are also believed to have suffered some damage." Thane is also expected to damage rice, groundnut and maize crops in both Tamil Nadu and Andhra Pradesh. Andhra Pradesh is the biggest producer of corn in India and the second-biggest producer of rice and groundnut, while Tamil Nadu is not a key producer. Pakistan's Supreme Court says it will investigate a scandal surrounding an unsigned memo seeking Washington's help to rein in the powerful military, a decision bound to heap pressure on the weak civilian government. The "memogate" scandal has highlighted historic tensions between the government and the military, in power for over half Pakistan's 64 years and whose help Washington needs to battle militants fuelling violence in neighboring Afghanistan. Pakistan's politics were thrown deep into crisis on Oct 10 after businessman Mansoor Ijaz wrote in the Financial Times that a senior Pakistani diplomat had asked that a memo be delivered to the Pentagon with a plea for U.S. help to stave off a feared military coup after the raid that killed al Qaeda leader Osama bin Laden in May. Ijaz, who is of Pakistani descent, later identified the diplomat as Pakistan's ambassador to Washington, Husain Haqqani, a close ally of President Asif Ali Zardari, who denied involvement but resigned over the controversy. Friday's decision puts additional pressure on the government. There is also widespread speculation that the investigation could lead to Zardari's ouster if a link is established. The government has become increasingly unpopular since Zardari took office in 2008, failing to tackle myriad problems from crippling power cuts to suicide bombings and a struggling economy. The army has said it has no plans to topple the government, but analysts say it has plenty of ways to pressure Zardari to step down. Although his position is largely ceremonial, Zardari wields considerable influence as leader of the ruling party and his forced departure would be a humiliation for the civilian leadership and could throw the country into turmoil. Chimpanzees appear to consider who they are "talking to" before they call out. Researchers found that wild chimps that spotted a poisonous snake were more likely to make their "alert call" in the presence of a chimp that had not seen the threat. This indicates that the animals "understand the mindset" of others. The insight into the primates' remarkable intelligence will be published in the journal Current Biology. The University of St Andrews scientists, who carried out the work, study primate communication to uncover some of the origins of human language. To find out how the animals "talked to each other" about potential threats, they placed plastic snakes - models of rhino and gaboon vipers - into the paths of wild chimpanzees and monitored the primates' reactions. "These [snake species] are well camouflaged and they have a deadly bite," explained Dr Catherine Crockford from University of St Andrews, who led the research.They also tend to sit in one place for weeks. So if a chimp discovers a snake, it makes sense for that animal to let everyone else know where [it] is. 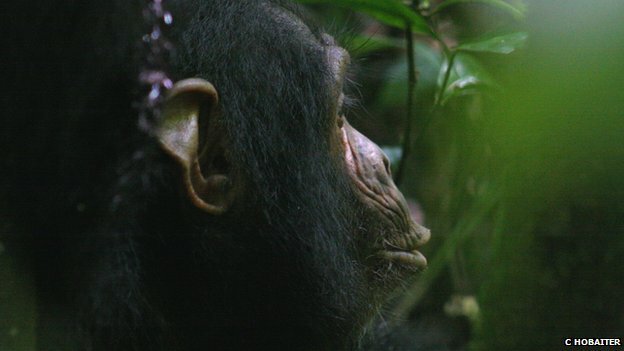 "The scientists put the snake on a path that the chimps were using regularly, secreting the plastic models in the leaves.When [the chimps] saw the model, they would be quite close to it and would leap away, but they wouldn't call," she told BBC Nature. "It wasn't a knee-jerk reaction. "After leaping away, each chimp immediately, very carefully, approached the snake again. And this time, they would make a soft "hoo" sound if they were close to a chimp that was not aware the snake was there.We monitored the snake all day, so we knew which animals had seen it and which hadn't," Dr Crockford explained.She added that when the primates called out, They were "very focused on their audience".That's not entirely new," she said. "Lots of animals give alarm calls and are more likely to give an alarm call [when another animal is present]. "But what is new here, she continued, is that "they seem tuned, not into who the audience is, but to what the audience knows".These findings, Dr Crockford said, provide an important insight into a factor that may have "kick-started" complex communication.She explained: "Why would I bother to communicate something to you unless I realised that you didn't already know it? ""Now we have seen that these chimps, human's close relatives, seem to recognise ignorance and knowledge in others.And they're motivated to communicate missing and relevant information to that individualIt's one of the things that's been missing from the evolution of language story." Matthew Cobb, professor of zoology at the University of Manchester, explained that "imagining what another individual is thinking" is a crucial part of human language. "This study gives us some insight into how this amazing ability may have evolved," he told BBC Nature. "In the wild, faced with a natural stimulus, our close cousins the chimps alter their communication depending on what other chimps know. Ukraine's former Prime Minister Yulia Tymoshenko has been moved from the capital Kiev to a prison in the eastern city of Kharkiv. Ms Tymoshenko, 50, was sentenced to seven years in jail in October, convicted of abuse of power when she signed a gas deal with Russia in 2009. She is a fierce critic of President Viktor Yanukovych, famous for her role in the 2004 Orange Revolution. The EU has criticised the authorities' handling of her case. Since August she had been held in a detention centre in Kiev. Ms Tymoshenko denies wrongdoing but earlier this month she lost an appeal against the verdict. She says her trial was politically motivated. The Ukrainian authorities have since launched a new investigation into alleged embezzlement by her - a claim she strongly denies. As has become common during the nearly two years of Europe's escalating debt crisis, reasons for guarded optimism that surfaced this week are being replaced with concern and doubt. In the wake of last week's uplifting news that the European Central Bank (ECB) helped loosen a seriously tightening credit crunch by extending nearly $650 billion in super-cheap loans to the region's over-extended banks, markets are now turning fearful again over the giant sovereign debt problem. On Thursday, investors demanded significantly high yields of 6.98% on new 10-year bonds issued by Italy. Though there's good news in that rate being half a point lower than the record-high 7.56% Rome was forced to pay in November, it's still a bummer in being untenably expensive over the long run, according to most experts. And that's not the only downer in Europe. The high yield required of those 10-year Italian bonds threw cold water on the careful optimism just a day before, on Wednesday, when Rome's sale of $11.7 billion in six-month bonds went for rates of 3.25%–just half of the level investors demanded during a similar issue in November. Thursday's investor response reversed what had looked to be significant softening of market positions during recent bond issues by Italy and Spain—both of which have seen their refinancing efforts spike dangerously high over the past quarter. The reason for the market rethink remains rooted—as always—in the deeper ground of Europe's debt troubles. 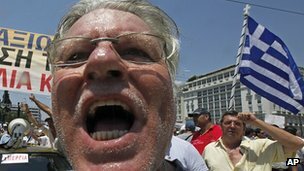 Despite new governments and reform programs that have been announced in both Italy and Spain, investor doubts remain high that austerity measures undertaken by Rome and Madrid won't suffice to overcome the crisis—especially within growing signs that euro zone economies (and probably all of Europe) are sliding toward recession. On Tuesday, France announced its jobless rate had increased to 9.3%–the highest level in 12 years—amid indications the country may have already entered recession. A similar jump in British unemployment lent credence to multiplying forecasts the UK is entering or has already begun a period of economic shrinkage. Little wonder, then, that with fears about slowing economic activity–and the decreased ability with which it will leave European governments to battle their debt ills—doubts about the euro and wider European Union's existence have surged anew. On Thursday, the single currency slid to its lowest level in a decade against both the yen and dollar, and may close out 2011 under the $1.30 bar. At the beginning of 2011, it had been at $1.45. Yet according to some experts, there are reasons to take heart—at least as far as developments over the past week go. The ECB's monumental lending program to banks may not be producing plummeting yield miracles for new European bond issues , but most observers do think the ECB's bargain-basement loan effort has averted the nightmare scenario of credit and finance markets basically turning inward and caving in (and taking the European and global economies with them). Meanwhile, some commentators also note that the ECB's loan scheme wasn't intended to assist anyone but banks in the first place. Because of that, those analysts continue, the ECB is still holding its potentially game-changing trump card to relieve battered euro zone states themselves—that is, guaranteeing all member debts, and buying their bonds up in huge volumes—and can play it if and when Germany ever lifts its threat to veto the move as a last ditch effort to save the euro from explosion. Meanwhile, though signs abound that much of Europe is headed for its second recession in less than half a decade—and indicate even nations that remain on the plus side will see growth of scarcely 1%–the falling level of the euro may actually help European export activity. Sure, a cheaper euro means European businesses, homes, and motorists will pay more for dollar-traded oil and gas; but the specter of the single currency that just months ago was worth nearly $1.40 falling even further from its current $1.29 level (to perhaps $1.25 to $1.20) offers hope of formerly pricey European goods suddenly looking cheaper to foreign consumers–especially those in the U.S. So while things are gloomy, some observers say, the situation isn't necessarily doomsday. So who's right in the effort to read the bipolar swing of market sentiment and action on (or against) European debt? It's probably not a great idea to bet the entire farm on the indefatigable optimists. Many market insiders point out that the holiday season—and especially the week between Dec. 25 and Jan. 1—is usually a time of reduced trading. What does go on during that period, they add, isn't usually reflective of the longer-term, bigger-stakes activity that occurs most of the year. When investors get back to real business in 2012, we'll probably see their wider outlook impact bond sales and yields—and it may not be too pretty. The reason? Because 2012 will be the crunch year for the economically groggy euro zone, whose members will need to find an estimated $40.6 billion in new loans from markets as they roll over a collective total of $1 trillion in debt coming due. A huge chunk of the $330 billion Italy will need to refinance in 2012 will come due during the first quarter alone—a big reason why officials in Rome and economists elsewhere are hoping the recent easing of yields on Italian bonds will continue bringing rates down closer to tenable levels. But there isn't much time left for that kind of positive evolution to unfold as dramatically as Italy and many other strapped states may need. Indeed, market reaction to Thursday's issue raise doubts whether any real progress in that way will be made at all–and it's impossible to know what will happen next week, much less next quarter. After all—and as always in the European debt crisis–we're only one downturn away from another reason for hope cropping (momentarily) up. 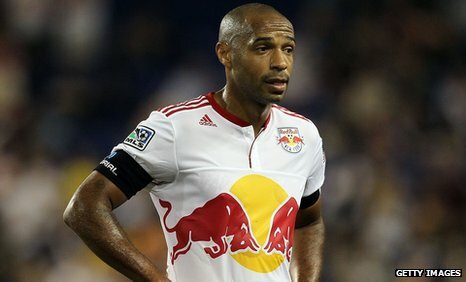 Thierry Henry will sign a two-month loan with Arsenal if insurance can be arranged with the New York Red Bulls, Arsene Wenger has confirmed. The former Arsenal captain, 34, has been training with the club during the Major League Soccer off-season. Gunners boss Wenger said: "For two months it certainly will happen. I don't take care of the agreement and insurance and that is not completed. "We cannot announce anything [now] because the paperwork is not done." With Gervinho and Marouane Chamakh set to depart for the Africa Cup of Nations in January, the Frenchman would offer back-up to captain Robin van Persie. Henry is Arsenal's all-time leading goalscorer, with 226 goals in 370 appearances for the club before he moved to Barcelona in June 2007. Wenger said: "To cover for two months is ideal. He has the experience and the quality. He knows the club and can help the players on and off the pitch. "He has exceptional talent and is a very intelligent man. It can only be positive. "He still has class, pace and quality. He is here to help the club he loves. But we must not put too much pressure on him, he is 34. He needs two good weeks' work. He is here to help - not suddenly be the main player." The French forward does not have to return to the New York Red Bulls until March, which means he could feature in seven Premier League games, including key encounters against Manchester United and Tottenham, as well as FA Cup ties and the first leg of Arsenal's Champions League last-16 clash against AC Milan. If agreement is reached with the Red Bulls, he could feature in Arsenal's FA Cup third-round tie against Leeds on 9 January. 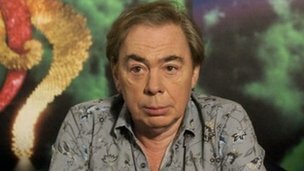 The Olympics will cause "a bloodbath of a summer" for London theatres in 2012, Andrew Lloyd Webber has predicted. "Nobody's going to go to the theatre at all," the composer told Radio 4's Today programme, predicting that "most of the theatres in London will shut". "It's going to be very tough," he said, revealing advance bookings were "about 10%" of their normal level. Three major musicals, he added, "are not going to play over the Olympics" - but he would not name them. Lord Lloyd Webber's Really Useful Group owns seven London theatres which are currently hosting shows including War Horse, Matilda and The Wizard of Oz. The impresario said "big, big, big hits" like his own The Phantom of the Opera would continue during the Olympics period. But he said some of his other theatres "will have to" close because of a drop-off in the "ordinary West End tourist audience". On a brighter note, the 63-year-old said a host of new musicals would arrive in the West End after the conclusion of the 2012 games. Shows heading into London include a Spice Girls musical, a Bridget Jones stage show and the Tony award-winning The Book of Mormon. "They've never been so commercially popular," he told BBC arts correspondent Rebecca Jones. "The appetite for musicals is insatiable in a way. "I don't think I've ever had so many musicals being offered to our theatres in London as there are for the end of next year. The rights to Marvel Comics hero Ghost Rider - played by Nicholas Cage in two films - belong to the firm and not the writer who conceived him in the 1970s, a New York judge has ruled. Gary Friedrich launched a legal bid to cash in on film rights in 2007. The judge ruled that, as he had cashed cheques from Marvel, he had no case. 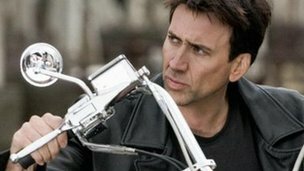 Cage starred as stunt motorcyclist Johnny Blaze in 2007 film Ghost Rider. He also stars in 3D sequel Ghost Rider: Spirit of Vengeance, out in February. Mr Friedrich's lawyer, Charles Kramer, did not comment on the ruling but said his client would appeal against it. Manhattan federal court judge Katherine Forrest agreed that Ghost Rider - a motorcycle-driving superhero with a skeletal head that is sometimes on fire - was conceived by Mr Friedrich. The character's first appearance for Marvel Comics was in 1972. When the first Ghost Rider film came out in 2007, Mr Friedrich sued Marvel claiming it had infringed his rights because he owned the character. He sought compensation for its use in films, toys, video games and other merchandise. "If Friedrich... had any rights to the character or the work at the time he endorsed the cheques... he relinquished those rights to Marvel," the judge said. She said that, as creating comic books also involved so many different processes, Ghost Rider was undoubtedly owned by Marvel. He had also signed an agreement with Marvel in 1978 relinquishing rights in exchange for more future freelance work, she said. In an earlier court hearing, Mr Friedrich said he thought he had given Marvel the rights to use Ghost Rider in comic books but that he retained all other rights. But such an understanding had never been put down in writing, he said when questioned by Marvel lawyers.North Korea has told the international community not to "expect any change" in the wake of Kim Jong-il's death. The message came in a statement carried by state media and attributed to the powerful National Defence Commission. "We declare solemnly and confidently that the foolish politicians around the world, including the puppet group in South Korea, should not expect any change from us," it said. Kim Jong-il died on 17 December of a heart attack, state media said. He had ruled North Korea since the death of his father Kim Il-sung in 1994. Under him funds were channelled to the military and North Korea conducted two nuclear tests. 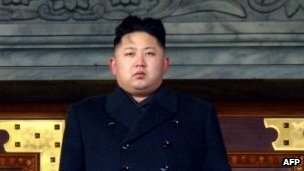 His son, Kim Jong-un, has been named "supreme leader of the party, state and army". North Korea's neighbours are watching to see whether the leadership change will affect Pyongyang's ties with the international community. The impoverished communist state remains technically at war with South Korea and is isolated on the international stage because of its dire human rights record and pursuit of nuclear weapons. Six-nation talks aimed at ending Pyongyang's nuclear ambitions - involving the two Koreas, China, the US, Russia and Japan - have been stalled for months. The statement from the NDC - which is thought to be the country's top decision-making body - said North Korea would "never deal" with South Korean leader Lee Myung-bak. Mr Lee has angered Pyongyang by linking the provision of aid to progress on denuclearisation. The NDC also criticised Seoul's "unforgivable" decision to allow only two non-official delegations to cross the border to pay their respects to Mr Kim. Amid regional concern, the US is to send one of its top diplomats to East Asia to discuss the situation in North Korea. Kurt Campbell will hold talks in Beijing, Seoul and Tokyo from 3-7 January, the State Department said. Mr Campbell, who is the Assistant Secretary for East Asian and Pacific Affairs, will be the most senior US official to visit the region since Kim Jong-il died. The US and South Korean defence chiefs, meanwhile, spoke for 20 minutes about issues on the Korean peninsula on Thursday. The two "shared the view that peace and stability on the Korean peninsula is our overarching priority and agreed to maintain close co-operation and co-ordination in the weeks and months ahead", the Pentagon said in a statement. On Thursday North Korea held a national memorial service for Kim Jong-il, ending the period of mourning. Hundreds of thousands of North Korean troops and citizens lined up for the ceremony in Pyongyang's main square. Top party and military officials hailed Kim Jong-un, the young and politically inexperienced new leader, in front of the huge crowd. NEW DELHI: Putting up a brave front after it failed to muster the numbers in the Rajya Sabha, government today said the Lokpal Bill will "definitely" be brought before the Rajya Sabha during the Budget session even as Congress leader Digvijay Singh defended the move saying extension of the House last night was not possible. "Definitely we will bring it in March in the Budget session...we have to study the 187 amendments brought by Opposition parties as most are overlapping. Some amendments relate to only a part of a clause and not the entire clause, some demand removing the entire part of the Bill," Minister of state for personnel V Narayanasamy said. He said after going through the amendments, the government will take a call on what to accept and what to reject and get back to the Opposition parties. Congress general secretary Digvijay Singh tweeted this morning saying "187 Amendments given till 6 pm on the day of debate and those too contradictory to each other. Extension of the House not within powers of RS (Rajya Sabha)." He also said, now that government has time, it must "try and bring about consensus and pass a strong implementable Lokpal Bill." Referring to the amendments moved by key UPA partner Trinamool Congress on the Bill in the Rajya Sabha, Narayanasamy said its reservations are regarding the appointment of Lokayuktas in the states and "they have no grievances against Lokpal." But at the same time the minister said Trinamool was part of the Cabinet decision to clear the Lokpal and Lokayukta Bill introduced in Lok Sabha a few days ago. "Thy voted with us in the Lok Sabha though they had some reservations about the Constitutional amendment...we are talking to them...there is still some time and we will bring them around," he said. 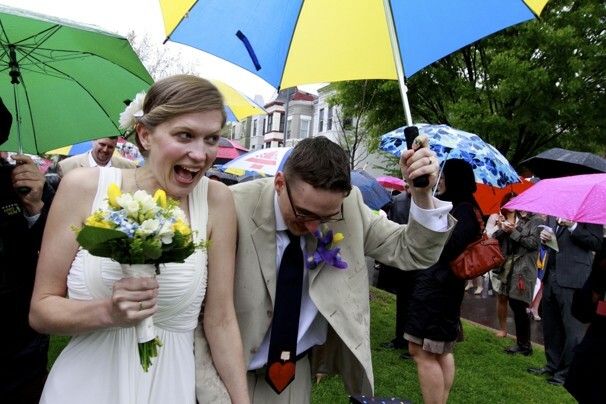 Sarah Gillespie and Adam Johnson were wed on a very rainy morning in Washington last April. The Capitol Weather Gang has tips for choosing a wedding date that maximizes your chances for sunny skies and comfortable temperatures. When planning a wedding, you have control over the guest list, the reception location and nearly every other detail. The one thing you can't control? The weather. It's inherently chaotic, and no matter what anyone tells you, it can't be predicted months in advance. "Ideal" wedding weather is subjective, but most people seem to be looking for a day that's dry and comfortably warm. Weather isn't the only factor when choosing a wedding date — venue availability, guest travel plans and other details have to be taken into consideration. Let's assume your ideal weather means temperatures from 70-85 degrees. Find out when your wedding location averages temperatures in this range (or the range of your choice). Weather.com has a great tool for this: just plug-in your location and it provides data on average temperature and precipitation throughout the year. It also provides daily temperature records (i.e. the hottest and coldest it's ever been on a given date), which will give you a sense of the full range of possible conditions. In the Washington, D.C., area, typical dates when afternoon high temperatures average 70-85 degrees span from late April to early June, and from early September to early October. It's no wonder these are some of the more popular months for weddings. The wild card during these periods is precipitation, which is why Step 2 of our plan (below) is so important. If you want to eliminate the chance of rain, consider a destination wedding at a location that has distinct dry seasons (e.g. southern California and some tropical islands). When choosing your date, also consider the time of day during which you plan to hold your outdoor events. If you're planning an evening reception, temperatures will be falling and you may want to pick a day using low temperatures as the criteria instead of highs; if your ideal temperatures range from 70-85 degrees, that would mean a summer wedding might make more sense than one in the late spring or early fall, when it may turn cold at night. There's an old saying: "Climate is what you expect, weather is what you get." In other words, weather averages are no guaranteee. The date's highs may average 75, but that doesn't mean you won't face a chilly 50 or a sweltering 95. For example, the average Washington high for Oct. 29 is 64 degrees, but this year that date saw snow and temperatures that topped out at just 42 degrees. Unless you're holding an outdoor wedding in a desert, you have to be prepared for the chance of rain. Determine how and where you'll move your event if there's precipitation or extreme temperatures. Discuss this back-up plan with caterers, florists, musicians and other key players ahead of time. When deciding whether or not to move your wedding into a climate-controlled environment, consider the comfort and health of your guests — especially the elderly, who may be especially sensitive to heat, cold and getting wet. You might be able to get a general idea of what the day will be like a week ahead of time, but a detailed, reliable forecast probably won't be available until a few days before the event. The most challenging forecasts to deal with are those that include a 30 percent chance or so of thunderstorms. That's because these storms are often widely scattered and develop unpredictably. In these situations, one site might get drenched, while another 10 miles away stays bone dry. Our advice: find the weather geek attending your wedding (there's usually at least one) and give him or her radar duty. With radar information accessible on most most free weather apps, your helpful guest can warn you if a storm is bearing down. Just because you can't control the weather doesn't mean it needs to be a source of stress. By understanding the range of weather possibilities for your wedding day and preparing for all of them, you can check "weather" off your to-do list and rejoice in your special day, rain or shine. Jason Samenow is Chief Meteorologist for washingtonpost.com's Capital Weather Gang blog. This article is an updated version of a wedding weather story he first published in 2009. KINGSTON, Jamaica — On Jamaica's rutted streets, the complaints have been chronic — home ownership is out of reach for most wage earners, the cost of electricity has skyrocketed, water service regularly fizzles out and decent jobs are scarce. Fed up with chronic hard times, voters in this debt-wracked Caribbean nation on Thursday threw out the ruling party and delivered a landslide triumph to the opposition People's National Party, or PNP, whose campaign energetically tapped voter disillusionment especially among the numerous struggling poor. The win marks a remarkable political comeback for former Prime Minister Portia Simpson Miller, who was Jamaica's first female leader during her year-and-a-half-long first stint in office that ended in 2007. The 66-year-old known affectionately as "Sista P" reached out to Jamaicans as a champion of the poor with a popular touch. 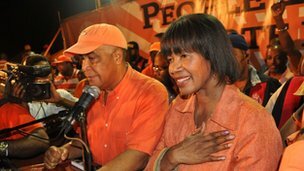 "She cares about the ghetto people," said Trishette Bond, a twenty-something resident of gritty Trench Town who wore an orange shirt and a bright orange wig, the color of Simpson Miller's slightly center-left party, which led the island for 18 years before narrowly losing 2007 elections. As word of her election win emerged Thursday night, PNP supporters shimmied and shouted in the capital, Kingston, and motorists honked horns in celebration as they tore down the streets. "I am humbled as I stand before you and I wish to thank the Jamaican people for their love, for their support and for giving the People's National Party and the leader of the party her own mandate," she said, after receiving hugs from numerous candidates, some crying. Simpson Miller defeated Prime Minister Andrew Holness, who at 39 is Jamaica's youngest leader and leads the center-right Jamaica Labor Party. Holness said the defeat will prompt a time of introspection and reflection for party leaders to examine what went wrong. "I wish the new government well. We hope for the benefit of the country that they will do a good job," said Holness, who warned during the campaign that an opposition win would scare away foreign investment and dash hopes of economic progress. While official results have not been released, elections director Orrette Fisher told The Associated Press that preliminary results showed Simpson Miller heading to victory. "Based on the margins, it appears safe to say" that Simpson Miller's party won, Fisher said shortly after Jamaican newspapers and broadcasters called the election for the PNP. He expected his office to release the official count and breakdown of parliamentary seats on Saturday. News station TVJ said Simpson Miller's People's National Party won 41 seats in parliament and Holness's Jamaica Labor Party 22. Simpson Miller is beloved by her supporters for her folksy, plainspoken style. She became Jamaica's first female prime minister in March 2006 after she was picked by party delegates when P.J. Patterson retired as leader. But she was tossed out of office a year later in a narrow election defeat. This time around, she has pledged to lift debt-wracked Jamaica out of poverty, secure foreign investment, and create jobs. Specifics are few, however. Her party will face deep economic problems in this island of 2.8 million people, with a punishing debt of roughly $18.6 billion, or 130 per cent of gross domestic product. That's a rate about 10 percentage points higher than debt-troubled Italy's. Veteran opposition lawmaker Omar Davies said one of the first things the People's National Party will do is get "a true assessment of the state of the economy," a dig at Holness' party which was accused of rarely providing citizens with a clear picture of the island's dire fiscal straits. Holness, who became prime minister two months ago after Bruce Golding, Jamaica's leader since 2007, abruptly stepped down in October amid anemic public backing, won his parliamentary seat with 54 percent of the vote. Simpson Miller has been a stalwart of the People's National Party since the 1970s. She was first elected to Parliament in 1976 and became a Cabinet member in 1989. Partisans have long admired Simpson Miller as a Jamaican who was born in rural poverty and grew up in a Kingston ghetto, not far from the crumbling concrete jungle made famous by Bob Marley. During her brief tenure as prime minister, her support waned amid complaints she responded poorly to Hurricane Dean and was evasive about a scandal regarding a Dutch oil trading firm's $460,000 payment to her political party leading up to 2007 elections. The two top candidates' different styles were clear while they cast their votes. Holness is largely seen as unexciting, but bright and pragmatic. He whisked into the voting center in the middle class area of Mona, barely interacting with voters. After being heckled by an opposition partisan, he said he was "very confident" of a Labor victory and departed after taking three questions from reporters. By contrast, Simpson Miller hugged and chatted with supporters at a school in Whitfield Town and told election workers to help struggling elderly voters. Her party, which experimented with democratic socialism in the 1970s, is still perceived as more focused on social programs than the slightly more conservative Labor. There are no longer stark ideological differences between the two clan-like factions that have dominated Jamaican politics since the onetime British colony began self-rule in 1944. Jamaica became independent within the British Commonwealth in 1962. Paris St Germain are expected to announce Carlo Ancelotti as their new coach at a news conference on Friday. The Italian, 52, was photographed meeting PSG's sporting director, Leonardo, in Paris on Thursday. The club then released a statement announcing they would hold a news conference in their Parc des Princes ground at 1400 GMT on Friday. 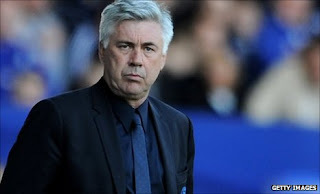 Ancelotti would replace current PSG boss Antoine Kombouare, who has led the club to the top of the French league. That would mean a return to the touchline for the Italian for the first time since he was sacked as Chelsea boss in May. It is a deal that has taken some time to put together, complicated by the fact that 48-year-old Kombouare has yet to be sacked by PSG. Although Kombouare has led PSG to the top of the Ligue 1 table at the winter break, he also oversaw their exit from the Europa League group stage. The club's Qatari owners have lofty ambitions and are keen to bring high-profile names to the French capital. Former AC Milan boss Ancelotti is expected to be joined shortly by David Beckham, whom he coached briefly at the Italian club during the former England captain's first loan spell at the San Siro. PSG are close to completing a deal to sign the former England skipper once his contract with Los Angeles Galaxy expires at the end of the month, BBC Sport understands. Ancelotti won a league and cup double with Chelsea in his first season in charge before he was sacked at the end of last season despite finishing second. The Italian was also a two-time Champions League winner during his decade-long spell at Milan. Qatar Sports Investments (QSI) bought PSG last summer and their president, Nasser Al-Khelaifi, promised to "to make the club a great team and a strong brand on the international scene". They promptly spent 85 million euros (£71.3m) to attract new talent, including paying 42 million euros (£35.2m) to Italian side Napoli for 22-year-old midfielder Javier Pastore. 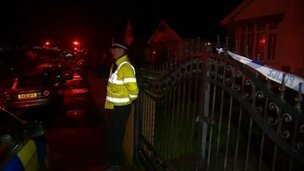 A post mortem examination into the deaths of a couple who were found dead at a bungalow in the Cynon Valley is expected to take place later. A 71-year-old man and a 58-year-old woman were discovered at a property in Cwmbach in Aberdare on Tuesday. South Wales Police said they were treating the deaths as "unexplained" but officers were not appealing for witnesses. Next of kin and the coroner have been informed. The pair were discovered by neighbours who became concerned after seeing a downstairs light on in the morning. It is believed they had not been dead for a long time when they were discovered. Another neighbour, Dilys Evans, said: "They were lovely people - both of them had been unwell but we just don't know what has happened. "They lived there alone but were very much part of the strong community we have here." A South Wales Police spokesman said: "A 71-year-old man and a 58-year-old woman were discovered at a property in Cwmbach in Aberdare on Tuesday. "At the moment we are treating the deaths as unexplained." South Wales Fire Service said it sent crews to the home on Tuesday morning to check for carbon monoxide. A spokeswoman said: "During that time they did not detect any carbon monoxide." Hacked US security firm Stratfor has told its subscribers that it may take a week or even longer to restore its website. The site went offline on 24 December. Hackers have posted credit card details, email addresses, phone numbers and encrypted passwords which they said were taken during the attack. Stratfor has said it will pay for a credit card fraud protection service for members whose payment details might have been compromised by the breach. Tweets posted on accounts linked to the hacktivist group Anonymous said that the US Department of Defense, the defence firm Lockheed Martin and Bank of America were among Stratfor's clients. 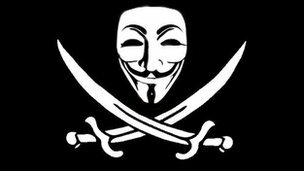 A recent message posted by @YourAnonNews added that other parties affected by the hack included Google, American Express, Coca-Cola, Boeing, Sony, Microsoft and the mining group BHP Billiton. An email from Stratfor to its subscribers said: "At our expense, we have taken measures to provide our members whose credit card information may have been compromised with access to CSID, a leading provider of global identity protection and fraud detection solutions and technologies. "We have arranged to provide one year of CSID's coverage to such members at no cost. "As part of our ongoing investigation, we have also decided to delay the launching of our website until a thorough review and adjustment by outside experts can be completed." 44,188 encrypted passwords of which roughly half could be "easily cracked"
This list is expected to grow if the hackers publish details of the N to Z list. A tweet posted to the account @AnonymousIRC on 25 December claimed that $1m (£650,000) had been taken from the hacked accounts and had been given to charity. Participants in Anonymous have subsequently posted screenshots which allegedly show money being transferred to the charities Red Cross, Save the Children and Care. The organisations will have to return the money if credit card owners report the charges as being unauthorised. Some supporters of the Anonymous movement have also expressed concern that the charities could theoretically be charged a fee for the return of the transactions. Anonymous Twitter accounts have also hinted that the hackers planned to release details of emails harvested in the breach, adding that "Stratfor is not the 'harmless company' it tries to paint itself as. Stratfor could not be reached for comment. However a video posted by Fred Burton, its vice president of intelligence, to YouTube promised to provide updates "as more details become available" and offered details about the credit card protection scheme. A scheme allowing victims of domestic violence to access legal aid quickly will be made permanent, Justice Minister David Ford has confirmed. Interim arrangements put in place last year made it easier for victims of domestic violence to go to court and obtain non-molestation orders. Mr Ford has said they will operate on a permanent basis from the beginning of the new year. He said the impact of the changes had been significant. "Under the new arrangements, over 100 victims of domestic violence who would have previously found it difficult to apply for non-molestation orders, have been able to get the protection from the courts they need for themselves and their families," Mr Ford said. "Over the past year I have met with many organisations that support victims of domestic violence and all have lobbied for a continuation of the arrangements. Jamaica's opposition People's National Party has won national elections, preliminary results show, after a campaign dominated by the economy. The results mean a return by veteran PNP politician Portia Simpson Miller to the post of PM. Meanwhile the ruling JLP conceded and current PM Andrew Holness became one of the country's shortest-serving leaders. The snap election was called earlier this month by Mr Holness who succeeded Bruce Golding as leader in October. With all the results declared, Mrs Simpson Miller's party gained 41 seats out of 63 for a sizeable majority in parliament. The 66-year-old was first elected to parliament in 1976 and became Jamaica's first woman prime minister in 2006-07. She will face deep problems, with debt running at approximately 130% of GDP and unemployment at more than 12%. At her party headquarters in Kingston, Mrs Simpson Miller thanked her supporters. "I am humbled as I stand before you and I wish to thank the Jamaican people for their love, for their support and for giving the People's National Party and the leader of the party her own mandate," she said. Conceding victory, Mr Holness, 39, said he wished the new government well. "There are challenges that they will face, challenges that we are quite well aware of. And we hope for the benefit of the country and for the interest of the people of Jamaica that they will do a good job," he said. Monitors said polling got off to a relatively smooth start on Thursday in a country where previous elections have been marred by violence. Later some glitches were reported, such as fingerprint scanners working intermittently, leading to long queues at some of the country's polling stations. But Lisa Shoman, the head of the observer mission for the Organization of American States, said her 25-member team has not reported "any disturbances or any issues that would cause us any serious concern". The BBC's Nick Davis in Kingston says while violent crime used to dominate election campaigns, it is now the economy and unemployment which has become the main issue. In recent weeks, the two main parties have been campaigning hard to win over undecided voters. Mr Holness stressed the JLP's record in reviving an economy which he said was badly managed during the PNP's long years in office. However the PNP said the JLP itself was guilty of economic mismanagement and has allowed the country's debt to balloon. The vast majority of leading economists polled by the BBC believe recession will return to Europe next year. One fifth said the eurozone would not exist in its current 17-member form, while the majority put the possibility of a eurozone break-up at 30%-40%. The poll also found that most economists expect UK interest rates to remain at 0.5% throughout next year. It was conducted among 34 UK and European economists who regularly advise the Bank of England. Of the 27 who responded, 25 forecast recession for Europe next year. Growth in Europe has slowed in recent months as the eurozone debt crisis has forced governments to rein in spending and has undermined confidence in global financial markets. The eurozone economy grew by 0.2% between July and September, while the 27 economies of the European Union grew collectively by 0.3%. Politicians have attempted to resolve the crisis, including an agreement to forge closer ties between EU members, but markets have yet to be convinced the measures they have taken are sufficient. The longer the debt crisis rumbles on, the more likely Europe will return to recession, economists believe. Growth in the UK during the third quarter was 0.6%. However, growth in the previous three months was flat. The CBI business group said that 2012 could be the beginning of a more prosperous future if the "pain" of deficit reduction passed quickly. In his New Year message, the CBI's John Cridland said the eurozone crisis posed a "significant threat" to the British economy, because 40% of UK exports were sold there. Mr Cridland added that the faltering recovery and the continuing debt crisis were stark reminders of the need to rebalance Britain's economy away from household and government debt. North Korea has told the international community not to "expect any change" in the wake of Kim Jong-il's death. India's opposition parties have bitterly criticised the government for its failure to put the controversial anti-corruption Lokpal bill to a vote in the upper house of parliament. The house was adjourned amid chaos after a debate stretched to midnight. 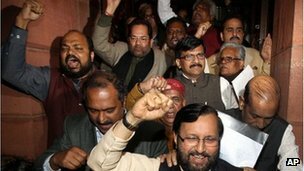 The opposition BJP said the government had "orchestrated" the chaos as it was not sure it could pass the bill. The Lokpal bill gives an independent ombudsman powers to prosecute politicians and civil servants. The bill passed the lower house on Tuesday. It needed to be passed in the upper house on Thursday in order to become law. The bill will now have to be revised and presented again. The government said it had respected the constitution with the adjournment at midnight and that the people of India would know who was responsible for the failure to reach a vote. But the BJP immediately called on Prime Minister Manmohan Singh to resign, saying his government had shown it was not fit to rule. "The government has lost all moral right to continue in power. It should resign immediately," opposition leader Arun Jaitely told reporters. "The [ruling] Congress [party] was never serious and committed to bring a strong Lokpal. It knew that it would never be able to get the bill passed in the lower house, so it choreographed the entire drama of debate which continued till midnight," he said. The ruling alliance has 94 members there and needed a simple majority of 122 MPs to ensure the passage of the bill. Communist Party of India (Marxist) leader Sitaram Yechury said the adjournment was "big moral defeat" for the Congress party. He said if the government was "serious about the passage of the bill, it should have taken the opposition parties in confidence". Sukhendu Roy, a leader of the Trinamool Congress party, which is an ally of the ruling government, also criticised the adjournment of the vote, saying it was a "shameful" day for democracy and a result of "orchestrated chaos". The ruling Congress party, however, said that with nearly 200 amendments to the bill demanded by the opposition it ran too late because the winter session of parliament ended at midnight. "How can a government pass a bill with so many amendments without studying it and examining it? It was a pre-planned move by the BJP to discredit the government," the junior minister for parliamentary affairs Harish Rawat told The Hindu newspaper. The debate has not only been heated in parliament. Leading anti-corruption campaigner Anna Hazare has called the bill "useless". He had started another hunger strike but has since called it off and threatened instead to launch a campaign of civil disobedience that would fill the country's jails. Mr Hazare and his supporters say that tougher measures are required in the bill if it is to prove effective at reducing the level of corruption. Mr Hazare's main complaint is that the bill proposes keeping India's top investigation agency, CBI, out of the purview of the ombudsman. A recent survey said corruption in India had cost billions of dollars and threatened to derail growth. Verizon Wireless, which this month angered customers with three separate data service problems, said on Thursday it will add a $2 fee for one-time telephone and online bill payments. The planned change, to take effect on January 15, was greeted by a storm of criticism. Consumer blog Engadget said charging customers to pay was "downright ludicrous." Another tech website, cnet.com, said the move "made little sense." "The fee is designed to address costs incurred by us for only those customers who choose to make one-time bill payments in alternate payment channels (online, mobile, telephone) and who choose not to use the other options available to them ...," Verizon Wireless spokesman Thomas Pica said in an email. Verizon Wireless rivals AT&T Inc and Sprint Nextel Corp said they do not charge their customers for any bill-payment options. In addition, some customers complained on Verizon's online forum on Thursday about problems activating their new phones. The episode followed reports of a problem with the company's high-speed network on Wednesday. Verizon said on Thursday that it had resolved that issue overnight. 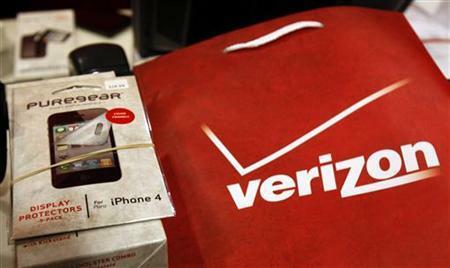 Verizon, the biggest U.S. mobile service provider, admitted on Thursday it was having "growing pains" with its new fourth generation, 4G, high-speed wireless network and had suffered several separate technical problems that caused service outages. After saying earlier in the day that services on its older third generation, 3G, network were not affected, the company admitted Thursday night that 3G customers were also affected. Verizon said it had proactively "moved" its fourth-generation (4G) wireless users onto its third-generation (3G) network to ensure all would have a data connection. 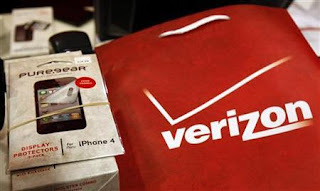 However, Verizon admitted that for brief periods, such as on Wednesday, 4G customers could not connect to the 3G Network as quickly as the company would have liked. The company also said that it is working closely with its network suppliers to ensure smooth functioning of its 4G network, while estimating that connectivity has been available at about 99 percent of the time this year. Some customers had earlier complained that they were having 3G service problems, while others said their 4G service was being restored on Thursday morning. One person complained about the lack of a public announcement. "At least acknowledge there is a problem, do you really expect your paying customers to not notice??" one person wrote on Verizon's online message board. Verizon Wireless spokesman Thomas Pica told Reuters that the company does not plan to compensate its customers who had experienced service problems. Earlier this month the company, which has long boasted that its service is "most reliable," faced two data service problems. On December 8 some Verizon customers were unable to access the Internet on their wireless devices for about 24 hours. The company had to fix another problem on December 21. Verizon Wireless is a venture of Verizon Communications and Vodafone Group Plc. 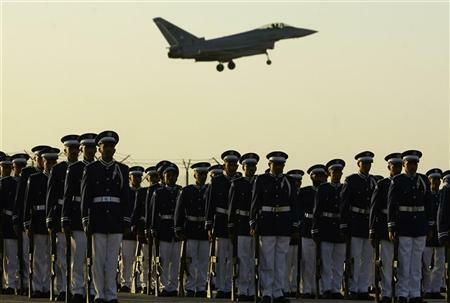 The United States has signed a $29.4 billion deal to sell 84 new F-15 fighter jets to Saudi Arabia in a long-expected move that the Obama administration said on Thursday would boost Gulf security amid mounting tension with Iran. The deal is the single priciest U.S. arms sale to a foreign country, dwarfing previous multibillion-dollar sales to Saudi Arabia, for years the biggest U.S. arms buyer. The sale includes the 84 advanced Boeing (BA.N) F-15SA fighters with cutting-edge Raytheon Co (RTN.N) radar equipment and digital electronic warfare systems for which BAE Systems Plc (BAES.L) is the key supplier. Also included are upgrades that will bring Saudi Arabia's 70 older F-15s up to the new standard, as well as HARM AGM-88 Anti-Radiation Missiles, Laser JDAM and Enhanced Paveway munitions and related equipment and services. The deal was formally sealed by Saudi Arabia last Saturday, days before Iran repeated threats to close the Strait of Hormuz in response to mounting U.S. and European economic sanctions over its disputed nuclear program. Administration officials described the advanced F-15s as designed to bolster overall Saudi defenses in an uncertain region. "In the Middle East right now, there's a number of threats," Andrew Shapiro, assistant U.S. secretary of state for political-military affairs, told a news briefing. "Clearly one of the threats that they face, as well as other countries in the region, is Iran," he said. But the sale was "not solely directed" toward Iran, Shapiro said. "This is directed toward meeting our partner Saudi Arabia's defense needs," he said. The United States has long identified Iran as a major threat, partly for suspicion that its nuclear power program is a cover for weapons building, a charge that Tehran denies. Saudi Arabia, a key oil supplier, also is suspicious of Iranian regional ambitions. The Obama administration in October 2010 notified Congress of the proposed F-15 sale as part of a potential package valued at up to $60 billion over 10 to 15 years, including Boeing Apache AH-64 attack helicopters, munitions, spare parts, training, maintenance and logistics. The head of Boeing's military business, Dennis Muilenburg, told Reuters the deliveries would take about five years to complete, extending the F-15 production line toward the end of this decade. The first modified Saudi F-15s are expected to enter overhaul in mid-to-late 2014. Saudi Arabia was the biggest buyer of U.S. arms from January 1, 2007 through the end of 2010, with signed agreements totaling $13.8 billion, followed by the United Arab Emirates, with $10.4 billion, according to a December 15 Congressional Research Service report. The announcement the F-15 deal had been clinched came as President Barack Obama swings more into campaign mode for a bid for a second term in November 2012, a campaign likely to be fought over the U.S. economy and job growth. A White House spokesman said the deal would give the U.S. economy a $3.5 billion annual boost and bolster exports and jobs. Boeing will work with about 600 suppliers in 44 states. The Saudi buildup, part of a wider U.S. arming of its regional friends and allies, could eventually help offset the departure this month of the last U.S. combat troops in Iraq. U.S. arms sales to Saudi Arabia often raise concern in Israel, but Shapiro said the Obama administration believed the new advanced warplanes would do nothing to curtail the Jewish state's comparative military advantage in the region. The Saudi arms package was controversial when it was sent to Congress last year, due chiefly to concerns over maintaining Israel's edge. A total of 198 members of Congress wrote to the Obama administration in November 2010 to raise concerns about the sale. The so-called Arab Spring political upheaval in the Middle East this year also may have slowed negotiations. Muilenburg said separate deals had been signed since the package cleared Congress last year to provide Saudi Arabia an initial 36 of 70 planned Apache AH-64D Longbow attack helicopters. The full total of F-15s, Apaches and 36 AH-6i helicopters, if purchased as planned, would yield Boeing and its industry partners about $24 billion in sales, he said. Boeing shares closed up 85 cents at $74.11 on the New York Stock Exchange. The rising Chinese official who critics say engineered the jailing of the blind legal rights activist Chen Guangcheng, has come a long way from Connecticut, where he studied public policy and claims to have worked as an aide to the mayor of New Haven. If Chen embodies the rebellious energies that worry China's ruling Communist Party, the official, Li Qun, with his U.S.-honed technocratic learning and homegrown toughness, appears to embody the qualities that the party hopes will keep it in power. Li first won national attention in China as the author of a book describing his times in New Haven, "I was an Assistant to an American Mayor." But an examination of Li's time in New Haven and Linyi, an area in eastern China's Shandong province where his path crossed with Chen's, indicates he embellished details of his time in New Haven. "The Mayor has no recollection of Li Qun," Elizabeth Benton, director of communications from the City of New Haven, said in emailed comments that denied other details of Li's account. Most recently, human rights activists have accused Li of pursuing a vendetta against Chen Guangcheng, who has been under house arrest in Linyi for 15 months, becoming the focus of domestic and international campaigns to secure his freedom. Chen's fate has become a test of wills, pitting the ruling Communist Party's crackdown on dissent against rights activists. "Li Qun has a unique characteristic -- anything that his superiors from the Communist Party say, he will execute it," said Sun Wenguang, a retired professor from Shandong University who said he worked alongside him. Li -- now the Communist Party boss in Qingdao, a major port city in Shandong -- did not respond to requests for comment. Supporters of Chen, a charismatic, self-schooled advocate, say his fate shows the risks of angering powerful officials. Chen was jailed for four years on what his supporters said was a trumped-up charge of "damaging property and obstructing traffic." Formally released from prison in September 2010, he remains effectively jailed in his village home, guarded by plain clothes security who act with the authority of police. Some of the harshest restrictions have been eased on Chen and his family, but people are still prevented from visiting him, including Hollywood actor Christian Bale. "Everyone believes that Li Qun, in order to protect his career prospects, had to move the obstacle of Chen Guangcheng away," Jiang Tianyong, one of China's most prominent rights lawyers and a close friend of Chen, told Reuters. Li was also linked at the time to a campaign of forced abortions to enforce family planning policies. Chen angered officials in Shandong when he exposed the program of forced abortions as part of China's one-child policy -- one of the most sensitive issues for the ruling party. "Besides carrying out the birth planning policy, at the same time (he) couldn't allow cases that show the trampling of human rights to be exposed," Jiang said. 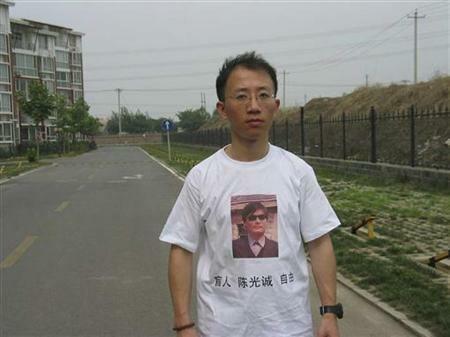 "So, Chen Guangcheng was a person that had to be sacrificed." In 2005, Chen begged Jiang and other lawyers in Beijing to investigate family-planning abuses in Linyi, a poor region of mostly peasants, 630 km (390 miles) from Beijing. When Jiang went there, he discovered that men were rounding up parents at night and locking them up if their daughters went into hiding to avoid forced abortions or sterilizations, and charging them 100 yuan for every night they were detained. Within a year of launching his campaign to expose abuses in the population policy, Chen was arrested, charged and convicted. Teng Biao, a human rights lawyer, documented the abuses in a report that estimated 7,000 women were forcibly sterilized in Yinan, a county in Linyi, from March to August 2005. Chen and other villagers told Teng in 2005 that Li "ordered ...the torture activities for the violent birth control campaign," Teng told Reuters. Local officials have been punished and rewarded based on their ability to meet annual population control targets. In November 2010, Li became party chief of Qingdao. He is also a member of the Shandong Standing Committee, the apex of power in the province. In November, Teng said he received a letter from a villager in Linyi. "Guangcheng's case has happened more than six years ago, but the brutal enforcement of the birth-control policy still exists," the villager wrote. "The town's family planning personnel have illegally detained the family members of the people who have violated the birth policy, and have secretly locked them up and taken their mobile phones." Before Li became the party boss of Linyi, he led a group of Shandong government officials who took classes at the University of New Haven in 2000, according to Karen Grava, the university's director of media relations. Li was awarded a Masters of Public Administration degree under a program drawn up by the University of New Haven, Grava said in emailed comments. He also participated in an internship in the office of New Haven's Mayor, John DeStefano. After his stint in the mayor's office, in 2004 Li published a book in Chinese about his experiences. State-owned newspaper China Youth Daily called it "the first perspective by a Chinese official into the operations of the U.S. government." In the book, Li recalled the mayor asking him about what to do about two police officers accused of taking more than the three days of leave they were allotted. "Mayor John DeStefano was quite trusting in me, and asked me my views," Li wrote. "I said, 'Our Chairman Mao once said, Unless you have carried out investigations, you have no right to speak', and so this matter should be further investigated.' Perhaps this was one task I could help the mayor with." Li said DeStefano authorized him to "carry out an investigation, and then give me your opinion on what to do." But DeStefano had no recollection of such encounters or indeed of Li himself, said Benton from the city government. "The Mayor would never have delegated to an unpaid intern the duties handled by the Police Department's Internal Affairs unit," Benton said.